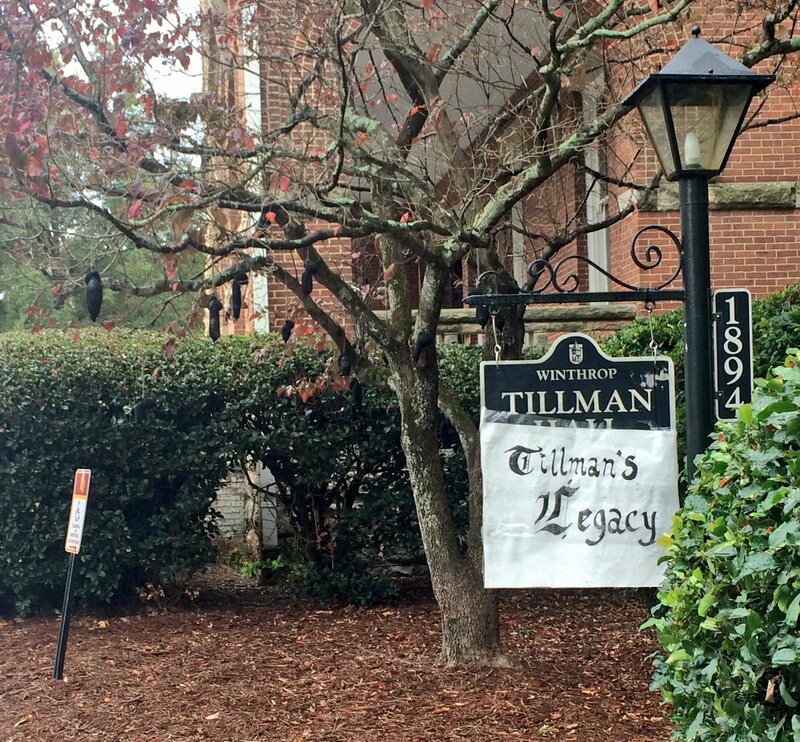 During the weekend of November 12, Winthrop student Samantha Valdez helped prepare an art installation featuring small figures hanging from the trees outside Winthrop’s Tillman Hall alongside a sign reading “Tillman’s Legacy.” Tillman Hall is named after Benjamin Tillman, a governor of South Carolina from 1890 to 1894 whose time in office saw an increase in the number of lynchings of African Americans. FIRE and NCAC wrote to President Mahony on December 8, demanding that the university drop its spurious charges and threats of expulsion or suspension against Valdez. On December 14, Valdez was found not responsible for violating the two campus speech codes. In addition, Samantha and campus administrators have agreed to host a panel to discuss her display, campus civility, and the First Amendment sometime before February 17, 2017. Update (3:38 p.m.): This press release has been updated to include a statement from the student.